On 6pm.com you can save 70% or more on Jones New York women’s apparel. I love this Jones New York Raw Edge Tweed Blazer for $39.99 – a 78% savings! 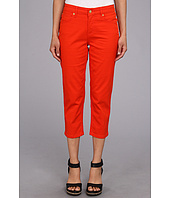 These are cute Jones New York Soho Capri Jeans for $15.99. There is a huge selection to choose from and shipping is free!